Just imagine Android without the Google Play Store. Meaningless, I would say. I mean what could we possibly do without the Play Store? Nothing! No apps, no games. We will stop calling our phones as ‘smartphones’. But thank god, that’s not the case! 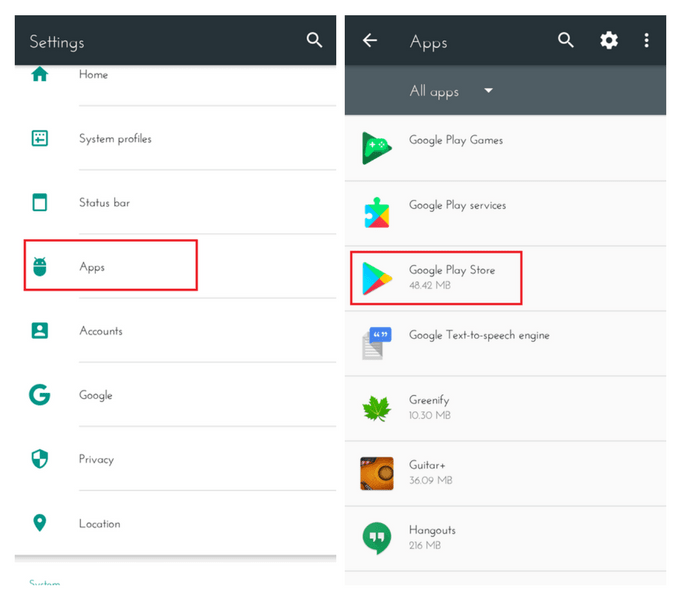 Now, what if the Play Store on your Android starts behaving abnormally? The app just won’t download. It just keeps on saying ‘Download Pending’. The download doesn’t even begin. And this is not the case with a particular app, but the whole Play Store starts behaving in this manner. There are various other Google Play errors but here our focus will only be on ‘How to fix the ‘Download Pending’ on the Play Store. How to get rid of ‘Download Pending’ on the Play Store? There are four different methods and I am gonna take you through each of them one-by-one. Google has a tendency of updating the army of its apps with latest versions. These updates, majority of the time, carry bug fixes and minor tweaks. Google pushes updates to the Play Store as well once in a few months. So there might be a chance you’ve been using an outdated version of the Play Store. 1. Go to APKMirror website. 2. Type ‘Google Play Store’ in the search box and click on the magnifying glass. 3. Click on the first link which comes on the result page as that will be the latest version available at the time. 5. You’ll be taken to another page. Scroll down a little and you’ll find a blue ‘Download APK’ button, right at the centre of the page. 6. Click on it and your download will begin. 8. That’s, pretty much, it. Your problem’s solved! Bingo! 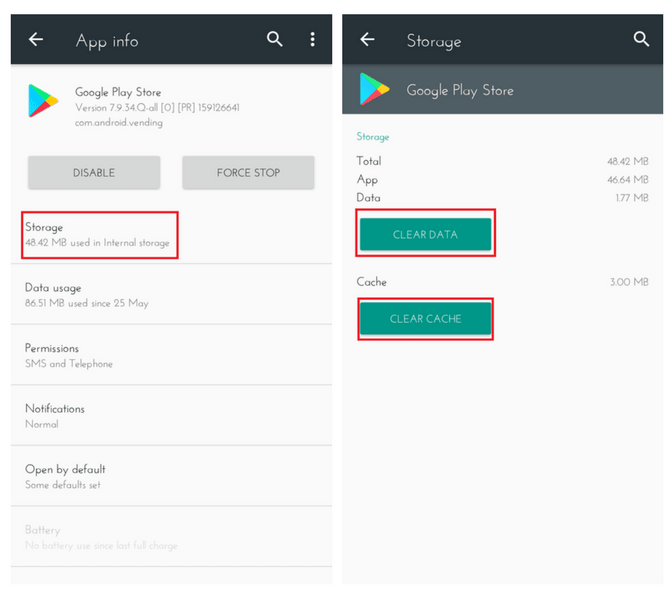 Open Settings> Apps> then clear cache and data of Google Play Store / Google Play Service / Google Play FrameWork / Download Manager/ then FORCE STOP. *it prevents the play store from updating other application. then after uninstalling the previous updates wait for at least 5 mins then try downloading a sample application on your play store. Thank you marcus2021 for sharing this with us. I am sure the above-shared methods will get the job done. But if in a very rare case, the problem still persists, feel free to get in touch with me through the comments section below. I’ll be very glad to help you out. Either way, which of the methods worked for you? Do you know of some other method to fix the ‘Download Pending’ issue? Let me know in the comments section below. And, as always, don’t forget to share this post with your friends and family to help them out. None of these worked for me,only thing that worked is I uninstalled the most up to date version of the app and went back to my original factory set Google play app and I was able to download right away. Maybe option #4? Same here. I’ve had this issue ever since Play Store first updated. My original version works but has a habit of automatically updating to one which does not so I have it disabled whenever I am not downloading apps. It always fails to post any review I make, giving an error. Try uninstalling any new updates. You can do that by going into Settings>>Apps>>Google Play Store, tap on the three-dots on the upper right corner. There you’ll see Uninstall updates. Tap on it. This should work. If it doesn’t, let me know. This has only happened in the last few days to me; I’ve got about 15 updates to download and it just says downloading but it never actually downloads it. I’ve tried everything. Emptied Cache and Data in both Google Play Store and Google Play Services and Forced them to stop, Uninstalled updates for the Google Play app, rebooted. Reloaded Google Play Store and get up the terms and conditions – select agree, behaves the same as before. Everything else on my phone works properly, internet browsing and everything else is fine – just this issue. Have you tried to STOP the updates and then updating it one by one? Let me know if it works. Tried that just now, exactly the same result, just the downloading bar going across but not downloading anything – maybe I should remove one of my accounts and try again; but it was wroking with 2 accounts so I don’t see where this problem has come from. That ‘downloading’ bar; is it showing just for a particular app? If that’s the case then try uninstalling that particular app. See if it works. I uninstalled all updates from Google Play Store, then cleared all data and the cache. I also force stopped the Google Play Services app. 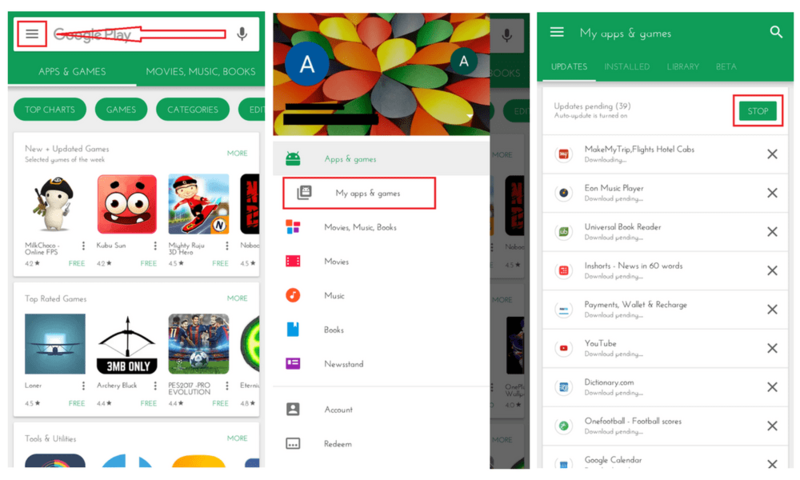 I then went to APKMirror and downloaded both the newest Google Play Application and Google Play Services app. I then removed both my accounts from Google altogether. I then installed the new APKs for Play and Services, went through the setup without registering my details just so it would load the store up, agree to the terms and conditions and see the apps on the phone. I then registered my 2 accounts with Google on the phone. Then – this is the key bit: When I reopened the Play store, I got a notification that I need to set a back-up account, so I selected my usual gmail one. Then it just automatically started to sync the apps and download the updates. I think this bit is the key part – the backup account needs to be set before the Play Store will update the applications. I hope at some point this helps somebody else as I’ve wasted nearly 2 days sorting this out and reading over 20 pages on it. By the way Ankit, I really appreciate your input, as without it, I would have probably performed a factory reset – your bit of advice made me explore the other options I had left. Thanks to you Christopher for sharing with us your experience. And I am sure other readers will find your comment very helpful. And by the way, I am glad that I came of some help. You are welcome if in future you need any help with your smartphone. I have no updates going on or other apps that are installing. i have newest play store. Auto update has a bug. Turn it off and install manually one at a time. On Mi box go to Google Play Store down arrow to my apps. Scroll right. Click on the x to stop updates. I assume most Android devices work the same.. But, I recommend you click each app, one at a time, to update. Once installed backspace to update and do another.. This should clear the cache and auto update should work from now on. To UNMOUNT the SD card worked just fine for me!!!! All the other clean cache etc. etc. just didn’t do the job. Do you have the latest version of Play Store installed? Try to relaunch the Play Store. It works in most cases. Its usually one app causing a problem. Let Aptoide update your installed apps. Now when you restart Google Play will update other apps. I keep Aptoide installed as Google Play has a habit of playing up, I find updating using the 2 app stores works great. DoctorQ …finally an answer that really work. It also allow you to find the app that is troublesome because the faulty app won’t update with Aptoide. One small thing, aptoide is not available on apk miror, google it. You are an ACTUAL LIFE SAVER! This is the only thing that worked for me!!! Jesus nothing helped me all above but thank you for trying help. I will try to unmount my sd card that’s my last hope. Hi. These methods worked for me but i have another problem and was wondering if you could help? Basically my phone vibrates for when i get a notification but the actual notification doesnt show up. If tried anything i could find to help but nothing has. Anyway you could help? Thank you so much. The #4 option worked for me!!! Tried all of the fixes and none work on my ASUS Zen pad 8.0. No issues on Sandi d tablet or phone. Any ideas. Thank you so very much Ankit for your wisdom. After many days of being unable to download properly apps like WhatsApp & other Australian apps – I tried your “clear cache & clear data” advice & it works a treat. Cheers. Hi i’ve tried all your suggested methods still the trouble persists. i tried downloading an app from my phone with the same Google Play account, it worked just fine. But when I logged in to my tablet with the same account I have the download pending problem still. Any suggestions? I have the same problem, play store won’t update google apps. I have tried all the above except the factory reset. This just happened yesterday and now my Bluetooth mouse and keyboard have an annoying lag. The one thing I noticed after the play store started misbehaving was I couldn’t load any web pages! None! One of the fixes I did fixed that, I think it was clearing the cache on the play store that fixed that. I also still have the play store problem of being stuck in the update process and never installing. Method #3 worked for me. However after the update was completed the Backup Id had to be confirmed, so I suspect that there is a link. Step four worked great for me! Thank you! I tried all the above steps and other blogs answers also, didn’t work. hey thanks a lot i was facing problem from long time … few times i googled this problem to find the right fix but nothing worked and than finally find your blog and the step 4 worked for me …. yuppie thanks a tone. but the bad thing i have noticed it that every time to install new app i need to uninstall my play store and set it to factory setting can there be some permanent fix. thanks in advance. Is it possible that my slow wifi network is causing this? I tried all the options mentioned above. Nothing worked. Pls help. Have done this process, a few times nothing works, can’t even update the apps I’ve got, all way out of date!!! Hi, none of the options in the article, nor in the comments worked. I did a factory reset, complete wipeout, and that worked, downloads are now working fine. Hi there. Nothing is working for me i tried all 4 methods but none of them works. Please help me out. Method #3 is what ended up working for me. Had just gotten a pixel 2 and the download pending came up for some of the 100 apps and would not change. Thank you for your help! Thank you Ankit for your response it works. Nothing works for me I have tried every single thing I possibly can.. When I try to download an app, it just says download pending. Please help me! Try uninstalling all previous updates that have been made with your apps. 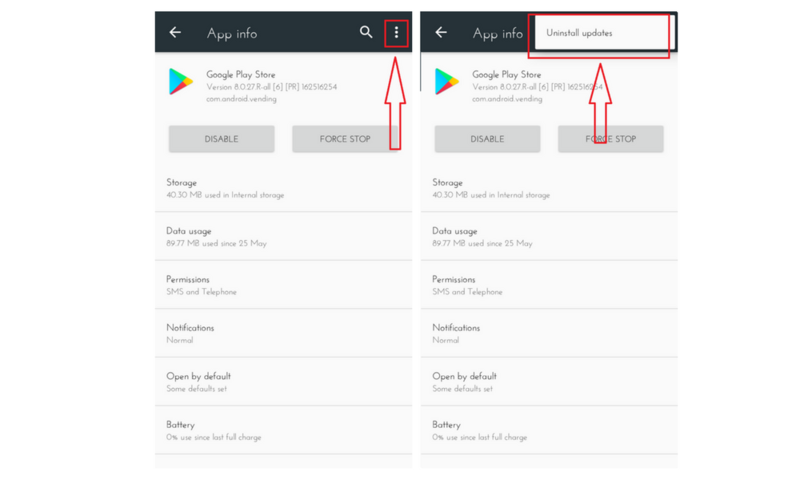 * stop the updating process> open google play store then open my apps>click stop on the application that is still updating> you can see the updating apps on the “installed” tab. *after uninstalling all the updates, wait for at least 5 mins then try downloading desired apps. – it works for me, after 2 weeks of trial and error….. This method sucessfully worked with my phone. *it prevents the play store from updating other application..
Hope this will help or at least give others a hint of the problem.. IF your cell phone setting is changed to allow updates when Wi-Fi is available, then you do get this message (DOWNLOAD PENDING). Once I changed it and got rid of that condition, then all the pending apps were installed in a few minutes. Method #3 solved my problem. Thank you so much! I had tried all three of the methods as suggested by you and others, many times. I never thought of just going back to a version that was working before this problem occurred. Duh. I’m back to version 5.-something, back to when it was just called Google Play. Can now download. Thank you very much. Thanks. This guy really knows his stuff! Thanks for the post. I have a seemingly different problem – when I download apps they usually seem to be stuck on pending, though sometimes will download. However, in most cases when I leave it in the background overnight it will download, but again not always. Additionally, I have the same problem inside apps. For example, in Spotify or podcast apps download will be stuck on pending in an unpredictable manner. The phone is ZTE Nubia Z17 lite, and I think I had this problem since I bought it. I tried the various playstore fixes and nothing changed, but I suspect the problem is not with the playstore but in a deeper communication level. I haven’t been able to find anything that would help, I would really appreciate any help you can offer! How do you download apps generally? Using cellular data or Wi-Fi? Generally using Wi-Fi, but I tried over various networks with similar results. The only thing that works for me is uninstalling the Play Store updates and then installing the app/update I need. But the Play Store auto-updates itself soon after that, so I have to uninstall updates everytime I want to install/update another app. It’s very frustrating! Second one worked for me. Thank you!!! I cleared cache and data, went back to play store to download and it worked out well. Thank you alot for this article. Hi, none of these worked for me. Please tell me what else can be done. Thank you, thank you, thank you. I was stuck in download pending for days. Finally, I found you and now I am up and running. Your diagrams worked for me to show me exactly where to go and what to do! Nothing has worked for me, clearing cache and data, uninstalling updates, uninstalling and re-installing Play Store app and even removing and adding Google accounts. It’s so freaking weird!!! Any other advice would appreciated. Turns out the second app that I was using for downloading some apps APKPURE was causing issues, I only had to force stop APKPURE and the playstore started working again inmediatly, leaving this here in case someone else also runs into the same trouble. None of this worked but I finally solved it. If you have an ASUS Zenfone 4 like I do, go to Power Master -> Autostart manager and enable it for Google Play Store. This function has actually also meddled with other apps and unables them to notify me of anything so it’s more useful to simply allow autostart for every app. Aaaah, I can breathe now. Had this problem. Cleared data and cache. Force stopped Google Play Store. Google Play Store was already up to date. Turns out simply powering my device off, then powering it on fixed everything and all apps that were pending downloaded in seconds. Thank you Ankit! Steps 2&4 worked for me! Very much appreciated! I have this problem only in WIFI, when I do clear cache and data from google play, it works a whiel. Then it goes again download pending when trying to download an app. Issue is not when I¨m downloading over 4G. That Christopher Quinn’s method worked 100% for me. Tho it took many steps, but it all worth it. Thanks! Very Helpful Article… I also went to the hamburger Icon, cliciked on download pending apps and cleared the que and then the download started working. None of the above worked for me. I have followed these steps from each of the method and Playstore started downloading/updating the apps. 5. Open Playstore, try to download/update a single app at a time. 2 years ago I replaced my mobile thinking that it was a device issue and replaced mobile worked well. Now when I bought a new mobile, same issue occurred again and then I found your post.